Here at Grenson Motor company we aim to keep your running costs on your car to a minimum whilst also ensuring your vehicle is in tip top condition. All of our Technicians are Manufacturer trained and accredited, and therefore we also use all the latest diagnostic equipment on your vehicle, and as you would expect Manufacturer genuine parts. Explore the special offers and services available from us online, or alternatively contact us now using our online form. 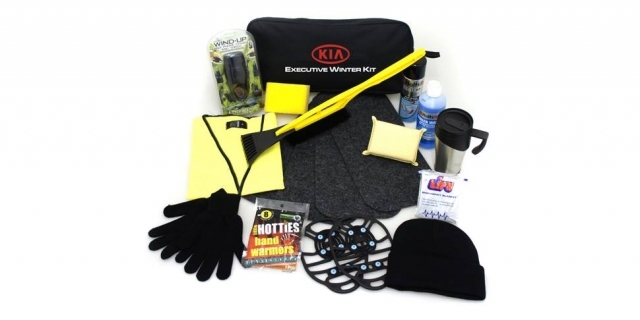 The Kia Executive Winter Kit only £37 including wind up torch, snow/ice shoe grippers, hi viz vest, insulated travel mug, ice scraper snow brush, traction vehicle mats, screenwash, de-icer, beanie hat, hand warmers, gloves, foil heat blanket, demister pad, bug shifter pad and branded bag! 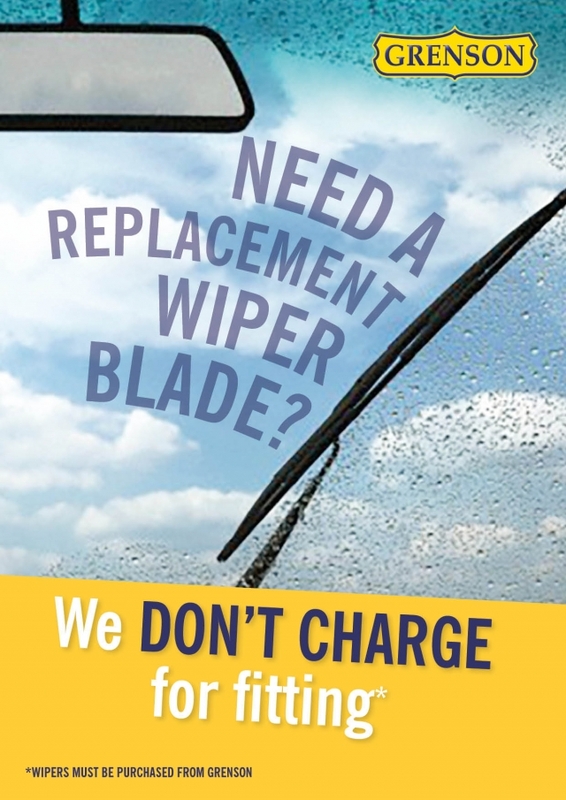 Need A Replacement Wiper Blade? Why pay for a well know national company to fit your replacement wiper blades?